If you often sustain injuries to one of your arms while you work, it's important that you protect the area from further discomfort as this can reduce your productivity in the long run. The Knitted X5-KSL20 20" Cut Resistant Kevlar Sleeve provides 20 inches of protection against cuts and tears. The sleeve also features an elasticated upper arm opening for improved security. 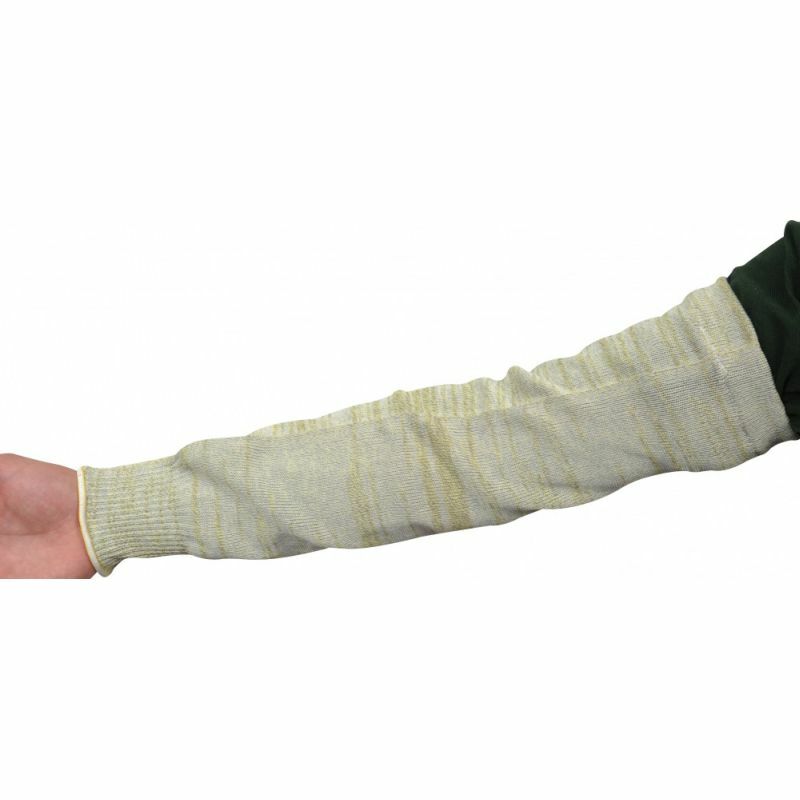 The Knitted Safety Sleeve is a designated Category II sleeve, making it suitable for medium-weight tasks. As the sleeve has been constructed to provide protection against cut hazards, it's particularly suited for you if you handle sharp objects. The Knitted Cut Resistant Safety Sleeve is available in one size to fit most users. The sleeve is 20 inches in length, meaning it tends to come up past the elbow into the upper arm for increased protection.